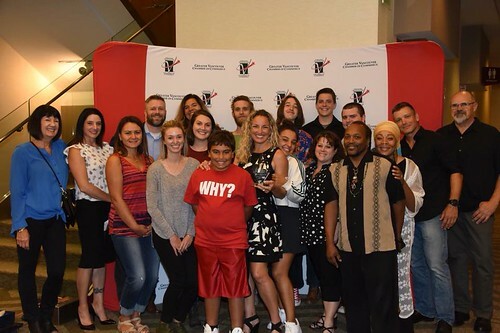 Run Oregon would like to issue a heartfelt congratulations to Sherri McMillian and her company, Why Racing Events, for earning recognition from the Vancouver USA Chamber. Why Racing puts on races including the Pacific Crest Endurance Sports Festival, the Girlfriends Run for a Cure Half, 10k and 5k (coming up on October 14! ), and the Appletree Marathon. She also organizes a number of triathlons. There one coming up at the end of the month that looks like a ton of fun as well, the Scary Run – a half, 10k, and 5k on Sunday, October 28. Join us in congratulating McMillian on the Why Racing facebook page! Why Racing Events and CEO Sherri McMillian won the 2018 Start-Up Business of the Year award categorized as 5 years or less in business from the Vancouver USA Chamber of Commerce, which awarded companies and individuals that have shown outstanding leadership skills – including large companies, small companies, start-ups and other notable members of the business community. WHY Racing was acknowledged for their efforts at raising funds for their community on track to raise more than a million dollars in 2018 and for offering free race entries to groups like children, the military, breast cancer survivors and those going through alcohol and drug therapy.